Sony DEV-5 digital recording binocular - could this product change the way we watch and photograph birds? Forget everything you know, or think you know, about conventional optics. It’s time to go digital – maybe. The Sony DEV-5 Digital Recording Binocular, showcased at last year’s Birdfair, constitutes a whole new ball game when it comes to watching birds in the field. Looking like a futuristic viewing device from a sci-fi film, this latest piece of Sony technology is an electronic hybrid between a binocular and a camcorder, with the camcorder genes clearly dominant. It’s big, and it has to be, as the plastic outer casing houses optics, an internal screen and a functionality package which, at the press of a button, allows the user to shoot 2D and 3D HD videos with stereo audio or capture still images. With a built-in zoom capability of 10x optical and a further 10x digital, magnification of up to 20x can be achieved. 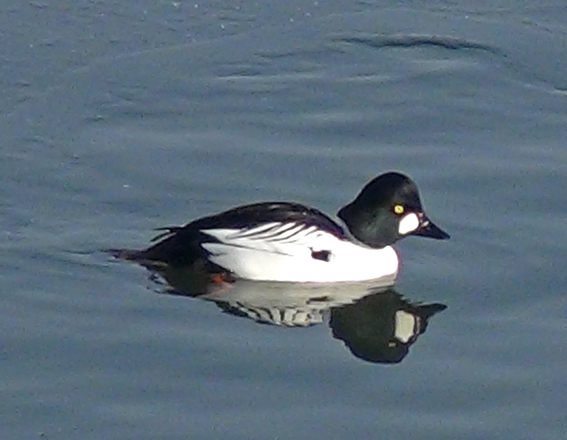 Common Goldeneye (left) and Greenfinch (right). Although all this sounds great, the user experience is totally different to that which we have become accustomed to, and expect from, conventional binoculars. The product flies in the face of the trend for manufacturers to make binoculars lighter and more compact. Instead, it is bulky and, at 1,300 g, heavy to wear, although the broad, comfortable padded lanyard does help. Holding it for long periods tends to produce tired and shaking hands after a while. However, it is the viewing experience which is most strikingly different. Instead of looking directly at a bird, you almost find yourself transported to another place – a virtual dark-room environment where the bird’s image is reproduced on a rectangular screen, cinema style. The DEV-5 does not employ beam-splitting technology, which enables the actual or ‘real’ image to be viewed optically while it is simultaneously sent to a processor to be captured or recorded digitally as in, for example, the Zeiss Photoscope (Birdwatch 233: 60). While the image is generally impressive, being sharp, bright and largely tonally accurate, I found the resolution started to deteriorate at about 10x magnification, and at 20x it became significantly suboptimal. This was also reflected in photo quality. Performance measured against conventional 10x magnification binoculars also revealed image deterioration which rendered distant birds unidentifiable. For example, a flock of Common Gulls readily identifiable at a distance of 600 m through my own binoculars was not so through the DEV-5. Furthermore, panning left and right produced a blurred image – a function of digital image reproduction and the autofocus playing ‘catch up’. Attempting to follow a fast-moving passerine through foliage and between bushes is practically impossible. For the same reason, I also found it more difficult to locate a bird through this binocular. There are, however, some advantages associated with this binocular’s employment of digital imagery. Close focus is one of them, and focusing on a subject just 10 mm away is possible in 2D mode; it’s around 800 mm in 3D. Another is light enhancement, which becomes apparent at low-light intensities. I was able to see colours and subject definition more clearly, at least at short to mid range, through the DEV-5 in low, pre-dusk light. In terms of image capture, the product is fairly straightforward to use. After a fairly intuitive initial on-screen set-up using an enter button and four directional arrow keys, all cluster-mounted on the top left-hand side of the body, you are ready to go. A ‘mode’ button allows switching between movie and stills, a ‘finder’ button changes the viewfinder display from 2D to 3D and a sliding zoom switch enables rapid changes to be made to the magnification. Red buttons on both sides allow image capture and start/stop recording, and there is a button for playback of images and videos. When holding the binocular, all controls are at your fingertips and I found them easy to use once familiar with their positions, even while wearing gloves. The default setting is auto, and the autofocus means you don’t have to worry about focusing on a subject, although I found that switching between close and more distant subjects involved a short time lag in which the autofocus adjusted itself. There is, however, a manual override to fine tune the focus if you want to look at a bird that is partly obscured by a branch, for instance, instead of the branch being the principal point of focus. In fact, you can switch to fully manually adjust the white balance, shutter speed and so on in the same way as using a digital camera. The effects of camera shake can be reduced by engaging the image-stabilising system, SteadyShot. There is also an in-built GPS which enables ‘geotagging’, allowing location to be recorded along with the images. The equipment is powered by a Lithium-Ion battery which is said to last a minimum of three hours for continuous shooting in 2D, while two and half hours of 3D footage can be recorded on to a 32GB memory card, which is located beneath a flap on the front of the binocular. The DEV-5 represents an interesting development in the field of image capture combined with observation, but there is still a long way to go to successfully integrate these two functions into a single unit. 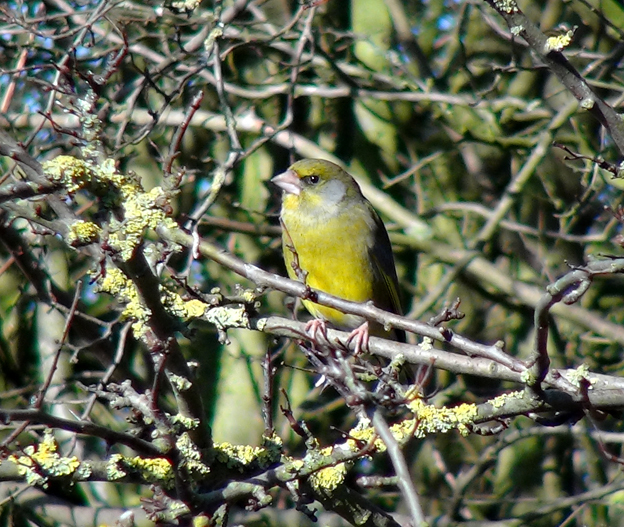 At present, the digital image, while sharp, is still inferior to the optical equivalent and the emphasis for birders will always be on image quality during observation rather than reproduction of stills or movies after the event.